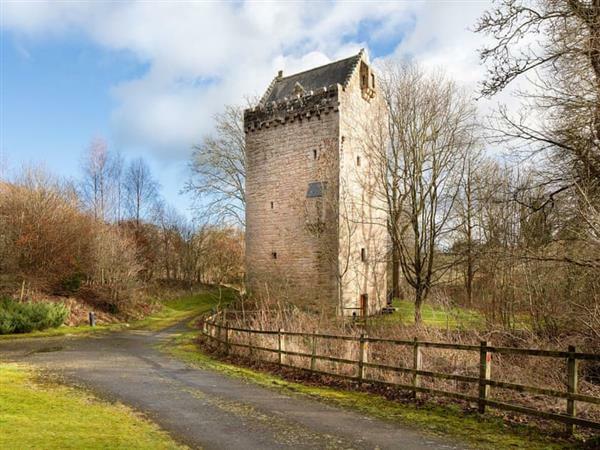 Braidwood Castle in Braidwood, near Carluke, Glasgow and the Clyde Valley sleeps 5 people. Braidwood Castle near Carluke is an extraordinary place, merging the history of a 500-year-old building with contemporary, high-end comforts. It is like time travelling, but Braidwood Castle also offers Wi-Fi, a dishwasher and a fabulous en-suite master bedroom right at the top of the tower. Braidwood Castle is in a class of its own, a rare gem owned by the same family for 350 years, but however tempting it sounds, please be aware that the stairs are steep and narrow, and a stay here would not be advisable if you would usually prefer to take the lift! Orchard Cottage set beside the tower (ref UK10671 [Orchard Cottage], sleeping 2) would be a more suitable choice. The surrounding enclosed 1½-acre grounds comprise native woodland, and an orchard with a seating area which is shared with guests in Orchard Cottage. A walk leads to the River Clyde directly from the grounds. The central location of this historic tower house enables easy access to some wonderful countryside in the Clyde Valley Woodlands National Nature Reserve just north of Lanark, 5 miles, where there are way marked trails to explore, while at the UNESCO New Lanark World Heritage Centre on the magnificent Falls of Clyde, you can discover how life was lived at the beginning of the Industrial Revolution. Youngsters will love a visit to the Clyde Valley Family Park close by, or enjoy a day in Glasgow which is very easy by train from Carluke. The shop is 1 mile from Braidwood Castle near Carluke, with the pub and restaurant ¾ mile from Braidwood Castle. 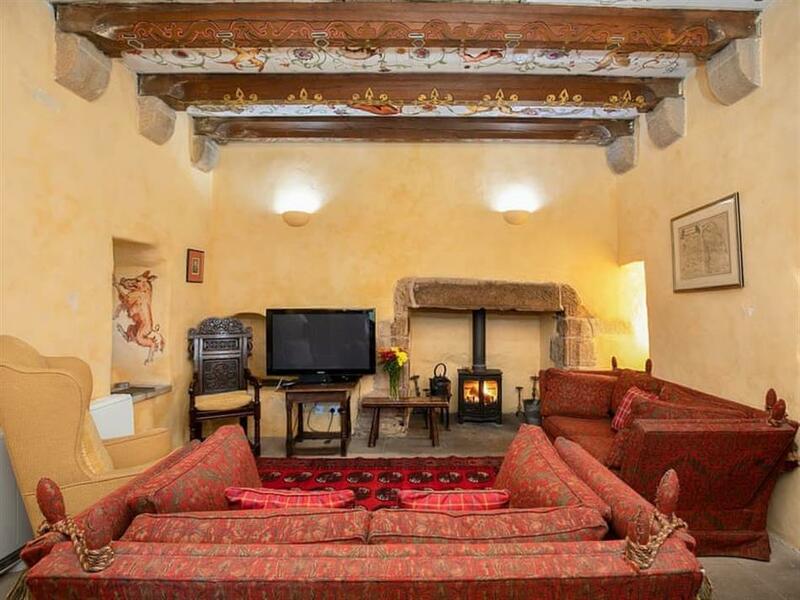 Braidwood Castle can be booked together with Orchard Cottage at Braidwood Castle (ref UK10671 [Orchard Cottage]) to sleep up to 7 people. Electric central heating, electricity, bed linen, towels, Wi-Fi and logs for wood burner included. Travel cot and highchair available on request. Welcome pack. Enclosed garden with garden furniture. 1½-acre natural grounds with lawned area and orchard (shared with Orchard Cottage at Braidwood Castle ref UK10671 [Orchard Cottage]). Private parking for 2 cars. Please note: The headroom is low from the stairs onto each floor level of the property. There is a fenced stream in the garden 20 yards away. Holidays at Braidwood Castle, Braidwood Castle run from Friday to Friday. Pets allowed at Braidwood Castle - Braidwood Castle. For a better idea of where Braidwood Castle - Braidwood Castle is, you can see Braidwood Castle - Braidwood Castle on the map below. Braidwood Castle - Braidwood Castle is in Lanarkshire; should you be on the lookout for a special offer, you can find all the special offers in Lanarkshire. It's always worth checking to see what is on offer at the moment. Do you want to holiday near Braidwood Castle - Braidwood Castle (UK10672), you can see other cottages within 25 miles of Braidwood Castle - Braidwood Castle; have a look to find your perfect holiday location.